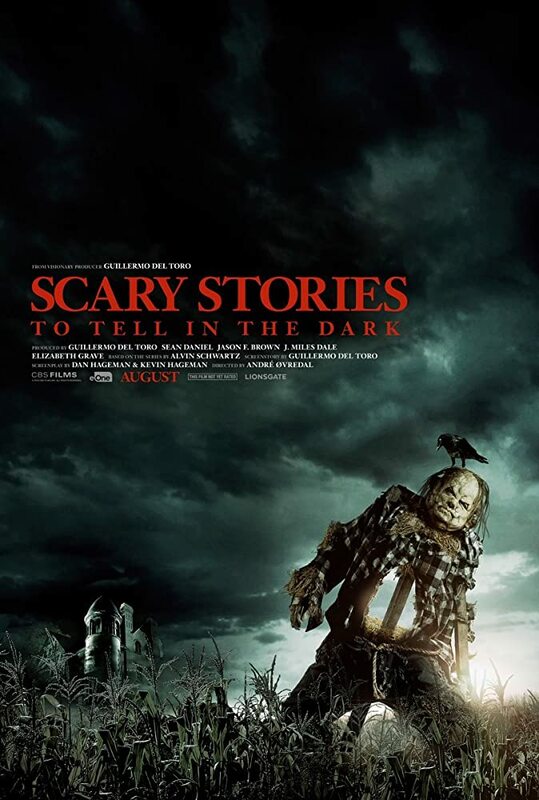 Directed by André Øvredal and shot in Toronto, Ontario, Canada, Scary Stories to Tell in the Dark is adapted from the horrific trilogy of books by Alvin Schwartz. Based primarily on urban legends and other popular folklore, the Scary Stories books were full of terrifying illustrations by Stephen Gammell. This new film will breathe life into the series that tormented impressionable young minds that stumbled across the books (which can likely be held at least partially responsible for the early obsession with the macabre in many a horror fan). Four mini-trailers were released during the Super Bowl that tease a look at some terrifying (and familiar) monsters. The project was initially set to be directed by Guillermo Del Toro, but the reins were handed over to Øvredal (Trollhunter, The Autopsy of Jane Doe) with Del Toro staying on as a producer and co-writer of the adapted script (along with writers Dan and Kevin Hageman). Scary Stories to Tell in the Dark is one of the highly anticipated horror films to grace the silver screens in 2019, so we’re all thrilled to have a first glimpse. The film’s new poster shows a satisfying adaptation of the striking illustration of Harold the Scarecrow. Del Toro had previously confirmed that Scary Stories to Tell in the Dark would use the original illustrations as inspiration for the design of the film. The film’s ensemble cast includes Zoe Colletti (Annie), Austin Abrams (The Walking Dead), Michael Garza (Wayward Pines), Gabriel Rush (MoonriseKingdom), Austin Zajur (Fist Fight), and Natalie Ganzhorn (The Stanley Dynamic). Scary Stories to Tell in the Dark will hit theaters on August 9, 2019.